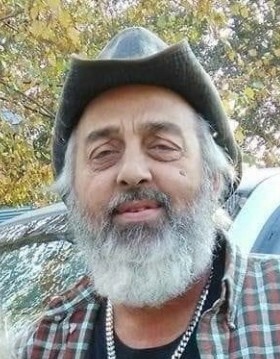 Mr. Lewis Henry Sauls Farris, 58, of Early Branch, passed away Monday, March 25, 2019 at Hampton Regional Medical Center. Born September 2, 1960 in Varnville, he was the son of Robert Donald Farris and Nancy Ellen Pierson Farris. He retired from the South Carolina Department of Corrections as a Lieutenant at the Allendale Correctional Institute. He loved his animals, especially his chickens, loved going to mud runs, watching NASCAR, and going fishing. He dearly loved his family and will be greatly missed. Surviving are: his parents of Lena; his wife, Sharon Bodkins Farris of Early Branch; children, Christina Cook of Nixville, Kenneth Wayne Cairens, Jr. of Grays, Robert Henry Farris of Orangeburg, and Danielle Nicole Sauls Farris of Early Branch; sisters, Angel McAlhaney of Varnville, Karleen Hughes of Young Harris, Georgia, and Ruth Sims of Florence; grandchildren, Doug, Gabe, Justin, Brad, Kai, Shianne, Tiffany and Brittany; and great grandchildren, Kennedy, Henry and Addi. Graveside funeral services will be held at 2 pm, Friday, March 29, 2019 at Zahler Cemetery. The family will receive friends Thursday evening from 6 until 8 at THE BRICE W. HERNDON AND SONS FUNERAL HOMES AND CREMATORY, VARNVILLE-HAMPTON CHAPEL, 1074 Yemassee Highway, Varnville, 803.943.5016. Visit the registry online at: www.briceherndonfuneralhome.com.